A boom vang helps to control mainsail shape after the limits of the traveler have been reached. Without a vang, the boom will lift as the mainsheet is eased, opening the leech, and the top of the sail will twist off to leeward, spilling the wind. If you are sailing downwind with the mainsail eased right out, the top of the sail can twist so far off that it is forward of the shrouds. This encourages the boat’s tendency to roll and can lead to a nasty broach. Tensioning the vang so the twist is eliminated will stabilize the sail and decrease the rolling. 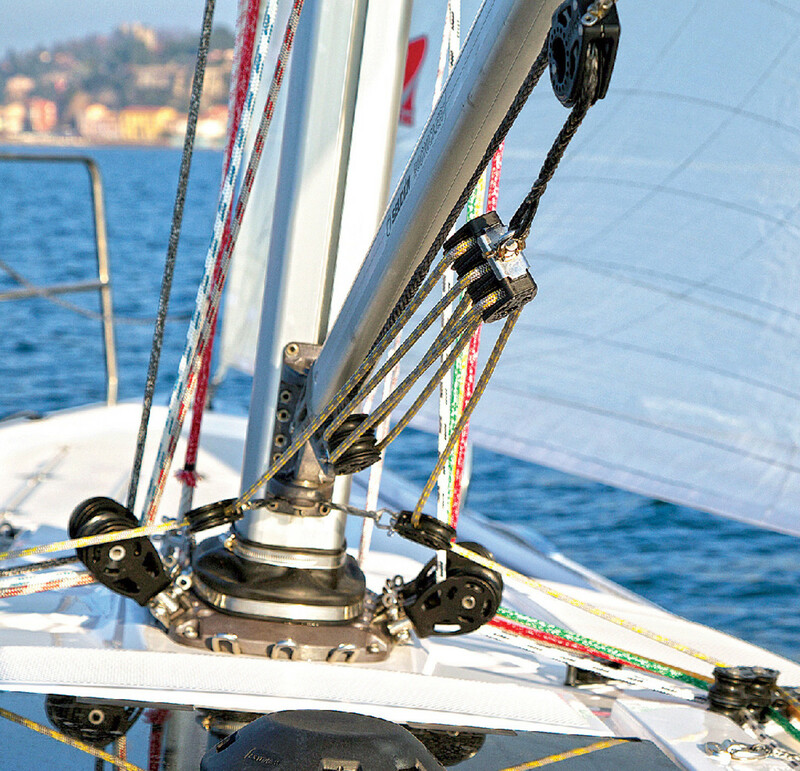 On a reach, if the wind pipes up enough to overpress the boat with a consequent increase in weather helm, easing the vang to induce some twist and open the upper part of the sail’s leech, thereby spilling some wind, will relieve the heeling forces and take some of the weight off the helm. Although the vang need not be adjustable over a range of more than few inches, it does need to be very powerful. By virtue of its location on the forward part of the boom, there is about twice as much loading on the vang as on the mainsheet. The blocks on a boom vang tackle should be the same size as those on the mainsheet tackle. The more purchase, the better: 4:1 is the minimum, and 6:1 is better. A gas or spring-loaded vang is a worthwhile upgrade, as it supports the boom in the event of the mainsheet parting or being accidentally released.